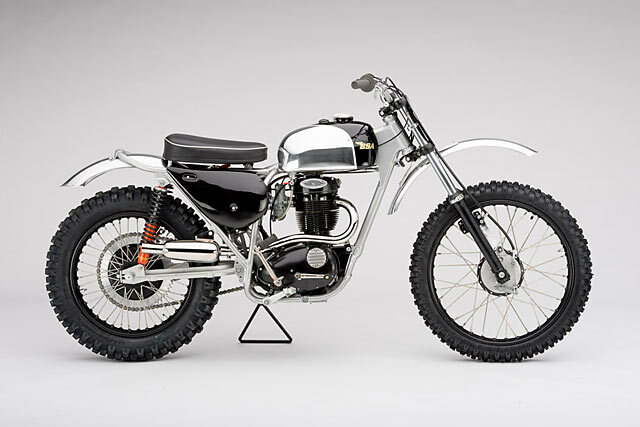 There was a time when British bikes of the ’60s could be had at a wrecking yard for chump change and the old scallywag behind the cash register was happy to see them go. But those days are over, as all that is old and oily is somehow new again with a steep price tag to match. The task is even more difficult when the object of your desire is a rare factory racer and crashing it first time out at turn two could be the most expensive ten seconds of your life. So Steve Bright from Washington State, USA, has done the smartest thing a man in his position could do. Taken a 1967 BSA B441 Victor Enduro and turned it into a factory works replica racer that wouldn’t have looked out of place in the privateer’s paddock of the day.